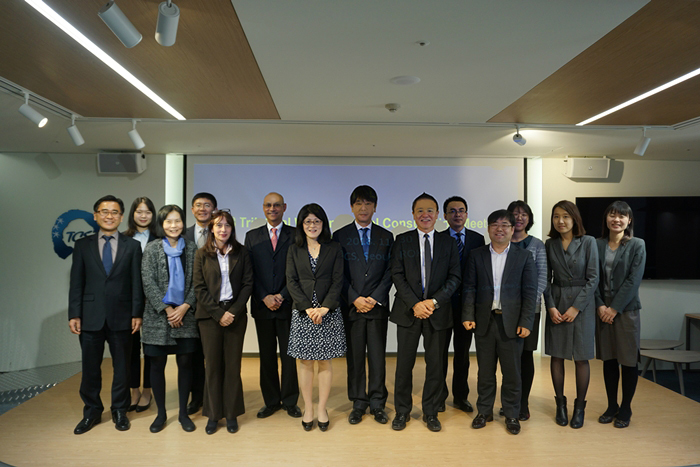 On November 30, 2018, the Trilateral Cooperation Secretariat (TCS) held the 2018 Trilateral Working-Level Consultation Meeting on Disaster Management at TCS Global Conference Hall in Seoul, ROK. The meeting was initiated by the TCS for the first time. 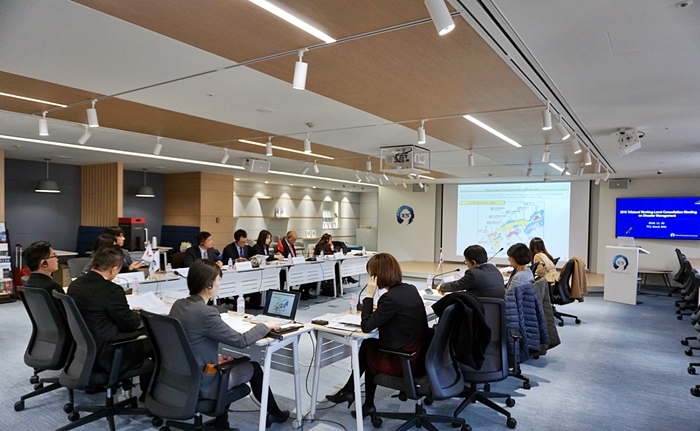 TCS Deputy Secretary-General YAMAMOTO Yasuhi presided over the meeting with the attendance of representatives from the ministries, and education and training institutions on disaster management and risk reduction based in the three countries. The meeting aimed to examine the implementation of follow-up projects on the Joint Statement agreed at the 5th Trilateral Ministerial Meeting on Disaster Management in September 2017 as well as to discuss new ideas for cooperation. At the meeting, the participants actively joined discussions about various topics, including education and training institutions, civil society engagement, Table Top Exercise (TTX) on Disaster Management, and future-oriented cooperation. The participants also highly expected the TCS’ role as a coordinator in disaster management cooperation among the three countries.